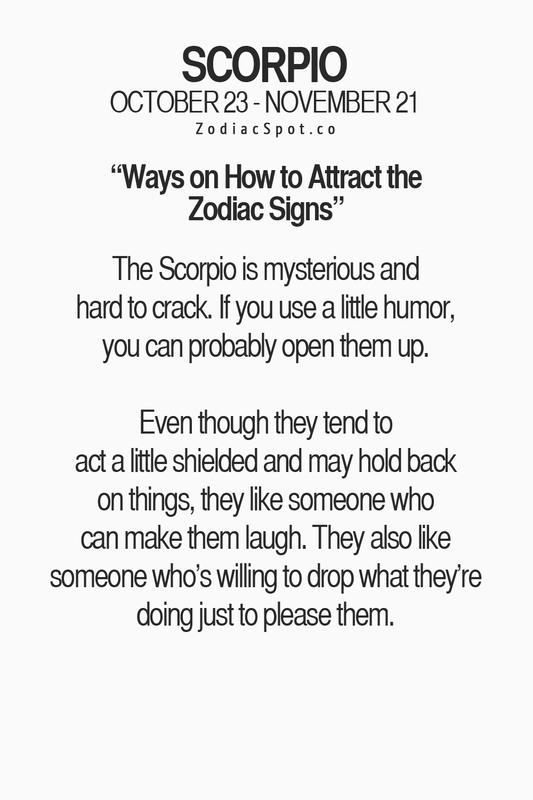 The Scorpio is mysterious and hard to crack. If you use a little humor, you can probably open them up. Even though they tend to act a little shielded and may hold back on things they like someone who can make them laugh. They also like someone who is willing to drop what they are doing just to please them.